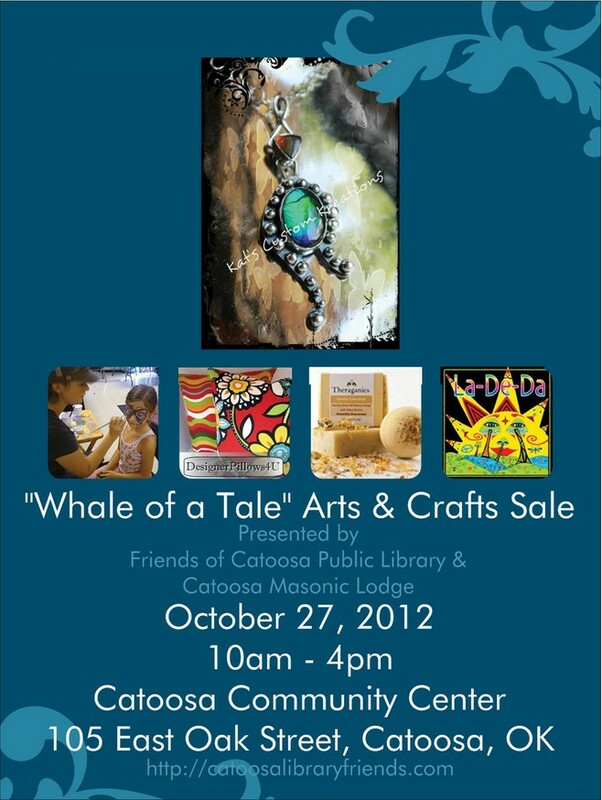 It’s a "Whale of a Tale" Arts and Crafts Sale and it is almost here! Man, oh man, have we ever been busy planning our “Whale of a Tale” of an event — it’s gonna be a whopper! One bite at a time, that is how you eat a whale, I keep telling myself. We have been working hard and getting the word out all over town and beyond! I am so excited to see things coming together and getting more excited with each passing day. Our final week brings us to the finishing touches – our banners and signs have been delivered and look great! We have some exciting artisans and craftspersons that are joining us! Everything from jewelry and quilts to beautiful privacy stained glass, doll clothes and tutu’s for your little darlings and handmade soap and household cleaning products to clean up the aftermath of her Princess Party at the local event planning center! I am truly pleased with the quality of our vendors – too many to list! There will be a Vendor Directory provided. You’ll be able to find your favorite artisans and make note of others you found to add to your list of favorites! Other fun things to note are that several vendors, as well as local businesses, are donating items to raffle; there will also be a 50/50 pot; and a bake sale of goooooood ole fashion home baked yummy goodness! Something for all ages — even crafts for the kiddos! Concessions will be available. Hope to see many of you with a friend or three in tow visiting us at the Library and Community Center on Saturday, October 15th. We will be open for business at 10:00 a.m. – 4:00 p.m. This is a one day event, so don’t miss out! Come out and support your local artisans — your library will thank you for it!